Despite the fact that many people tend to think that if they do not learn a musical instrument from very young ages, they will not learn it at all, at least as far as drumming is concerned, things do not work this way. You can start learning this musical instrument at any age, and if you do it as an adult, there are actually more benefits. First, it is not recommended that children under the age of 11-12 start learning this instrument, unless they show extraordinary skills. A child does not have the necessary maturity and patience to approach such a complex musical instrument. It is known that the little ones get bored quickly, and, although very enthusiastic at first, after a few chaotic moves and the attempt to make more complex exercises, they will realize that execution and coordination failures feel not that great and they will not carry on any further. Their interest in this instrument disappears quite quickly and it is nothing unusual about this, considering that, at such an age, the power of concentration and perseverance is still at an early stage, and it can be very difficult to understand and study repeatedly the exercises required to learn drumming. Another aspect that makes learning drums not suitable for small children is related to their height. A child who does not have the necessary height cannot physically reach all the components of a percussion system. It is particularly challenging for them to get to the pedal of the big drum and of the cymbal. Learning drums also involves a physical and intellectual effort. Drumming activates both brain hemispheres, which implies an intense intellectual effort that includes the understanding of rhythmic formulas, as well as coordinating hands and feet. In the case of adults, none of these issues represents a problem. A popular Englishman quote says that the distance between you and your dreams is called “action.” You have all the time in the world to learn how to play drums, even if you are an adult. There are many studies about the benefits of drumming to the brain. Music keeps your mind alert, which improves memory and concentration. At the same time, music and rhythm play a very important role in reducing stress, increasing productivity, developing creativity and improving self-confidence. 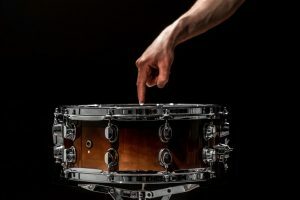 Start practicing on a snare drum. Playing drums teaches you to be disciplined. Studying percussions can be akin to the learning of a new language, and for this reason the process can often be challenging. One of the qualities that musicians possess is discipline. It is impossible to become a pro without a very good discipline. You have to schedule a daily routine to practice and stick to it no matter what. Music also helps people in various social situations. It often manages to create personal bonds, and developing a good understanding of music is also useful for improving communication skills. Moreover, it will help you acquire new skills of cooperation, time management, concentration and listening. Self-expression will also reach new levels and you will get rid of certain inhibitions. Are you used to driving on dry roads while it’s sunny outside? If you’re a new driver, you have to be aware of the fact that the weather won’t always be that good. 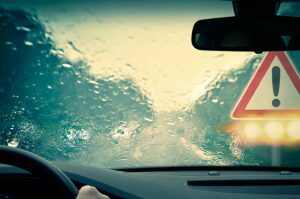 Sometimes you’ll be forced to drive in conditions such as heavy rain, hail or even snow and ice storms, which can greatly impair your visibility as well as your ability to control the car. One of the most underrated tips for driving in bad weather is to slow down, that is however what they teach you at the driving schools in Parker Colorado and makes a difference. This recommendation cannot be stressed enough because conditions such as icy roads, misty areas or heavy rainfall can often cause an accident if you don’t see or can’t avoid an obstacle in time. So, to be able to take preventive measures, make sure you drive about 10 mph below the speed limit at all times. If the weather conditions are even worse and your steering feels iffy, consider reducing your speed an additional 5 mph. Tailgating should also be avoided. Even though in some states tailgating is considered illegal, this isn’t true everywhere. So, in bad weather, you have to take precautions to avoid tailgating, since it’s virtually impossible to brake fast enough if the road is covered in snow or rainwater. When you’re on the highway, make sure you can keep a distance of about 100 yards between your car and the car ahead at all times. If you see that you’re getting too close, simply slow down until the distance is restored to 100 yards or so. Probably the most crucial bad weather advice is to avoid black ice. This type of ice is extremely hard and slippery, and you’ll find it nearly impossible to control your car for any length of time while skidding on it. So, make sure you take precautions such as slowing down and keeping your headlights on at all times in bad weather. Your headlights could provide you with an advantage, because they can reveal black ice by reflecting light off of it, especially during the night. Aside from slowing down and stopping, turning under bad weather conditions might be one of the most difficult things to do. If you want to turn correctly and avoid having the back of your car run off, or the front running into oversteer, make sure you take your foot off the gas pedal as early as possible before the turn, and then gently press the brake while you still haven’t reached the turn. Once you’re at a safe enough speed, take your foot off the brakes and engage the turn without hitting the gas. That way, your steering will be smooth, and you don’t run the risk of understeering or oversteering. If you’ve already partially lost control of the car, and you feel that the vehicle is starting to skid to the left or right due to the slippery surface, make sure you stay calm and remove your feet from any of the pedals, allowing the car to run free. Then gently steer the car in the same direction as where it’s skidding towards. For instance, if it’s skidding to the right, steer gently to the right until you feel that you’re going into a controlled right turn. After that, you can slowly control the movement through gradual left and right turns on the steering wheel, until the car regains its balance on the road. If you’re interested in Painting with a Twist, Wylie TX events will bring you close to some of the most brilliant local artists, and help you open up to people more while having a lot of fun. These sessions are more exciting than you might even believe, and you need to actually attend before you can have a full glimpse of the remarkable advantages they can offer. So many times we are beaten down by the world around us to the point that we can never find an exciting and enjoyable activity. Painting with a Twist aims to change that by giving you an opportunity to just relax and have a good time without focusing on life’s many difficulties. As opposed to even some pastime activities that could be considered fun, such as clubbing, scavenger hunting or even outdoor and indoor sports, Painting with a Twist Wylie TX painting sessions will allow you to slow down to your own pace and aim to relax more with each brush stroke. 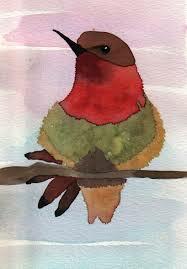 If you have children over the age of 16, they can accompany you to Painting with a Twist as long as you are with them. This means no one gets left behind, and you can go to Painting with a Twist session as a whole family, as opposed to having to find a babysitter every evening. Painting with a Twist events are definitely good opportunities for local artists to get noticed. If you’re talented with a brush, and you’d like to try to pursue a career as a painter, designer or engaging in any other artistic pursuit, you’ll have the chance to meet established artists who might be able to help you out. These events are remarkable opportunities for networking and starting something new. Even if you’d just like to approach art from a business perspective, these painting sessions are definitely a great way to find new talent. As a beginning painter, or even as a seasoned one for that matter, you can gain a great deal of experience and knowledge just by practicing at some of the Painting with a Twist Wylie TX events. Themed nights will give you the chance to paint a common theme as viewed through your own eyes. Also, the input you get from other artists, the engaging discussions you have, and even the practice you get by painting on a regular basis will help you improve your painting skills and polish your talent. At Painting with a Twist events, most people who have attended agree that the experiences are quite life-changing. Here you can be yourself, talk about who you are and what you want to do, and listen to the stories and perspectives of others. 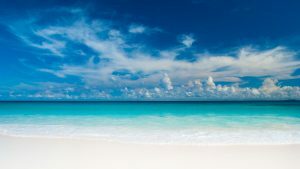 Finding a new way to view life and even seeing your own life in a brand new light may help you with some tough decisions, or even bring you a new friend who can be there for you to help you out. Today, digital video technology offers to more and more people the opportunity to engage in making video materials for personal or professional use. Different devices with video recording options, such as mobile phones, photo and video cameras, turn their users into potentially promising directors. Regardless of the video device, many of the principles related to recording a movie remain the same. Here are the steps followed by any professional Denver video production company in the video creation process. This is the stage when the video project is planned. Before starting to produce a video, it is important to identify the target audience and to try creating the project in a way that provides the desired impact. Study the subject, find interesting places where the story of the project can be placed, identify the people/ actors that should be a part of it, choose the image and the title. When the studio part is finished, it’s time to complete your script and draw the storyboard. The final step of the pre-production is planning the filming schedule, informing the team about it and ensuring the availability of all equipment needed for production. Limit the amount of panning from side to side and zooming back and forth. Keep frames still. Pan only when you follow an action and zoom when you must highlight something. Especially if your movie is created to be watched on the Internet, the constant movement of the camera, after compression, will make the video unstable and slow. A tripod for the camera is essential in video production. However, if the tripod is missing for one reason or another, make sure that the image stabilizer of the camera is enabled. Video professionals also use some body posture tricks to keep the image still. One of the things that make a video to be different from another one that treats the same subject is the way it is filmed. Professional video makers do not shoot everything from the eye level; they show creativity in changing the filming angle and the height of the frames in order to make the most of them. Once all the video information has been filmed and collected, it is time to put the story together using various editing software. Video shots are sorted are put in the right order, the overall length is calculated and adjusted, the sound, narration and music are added and synchronized, and titles, graphics and animation are introduced where necessary. The final result can be exported in various formats, depending on the ultimate goal and the audience. When you choose a Denver video producer, look for a professional company that not only has the right know-how and experience, but is also able to provide a unique, outstanding end-product. The DJs for hire in Denver can make or break your party, so it is absolutely essential to hire the DJ who has the suitable amount of experience, the right personality, a vast inventory of different music styles and professional equipment to play your favorite tunes in the best quality. Fortunately, there are lots of wedding DJ’s who fit the bill, so here are a few tips to find yours. To be able to evaluate wedding DJ’s, you first of all need to know exactly what you want. The venue of your wedding reception , the amount of time you want your DJ to play, the number of your guests and the dominant age groups are all important aspects – large crowds and different locations require, a different approach from your DJ than intimate weddings with only your closest friends and young people will dance to different tunes than middle aged people or the older generation. The tunes to be played should also match the general style of the wedding, so make sure you tell your prospective DJ about the wedding theme as well. You should also figure out how much you can afford to pay your DJ – be prepared that different professionals may practice very different prices. Bridal shows, word of mouth referrals from friends, colleagues or family members who have already used a wedding DJ are all excellent sources of information and so is the internet. Compile your own list with possible candidates – if you use an internet query straight ahead, check the website of each DJ you find, but don’t forget to do the same if you use recommendations from friends or other sources. DJ websites will provide lots of useful information about the artists, including video materials of previous shows and events they have played at as well as specialization – a very important detail because not all DJ’s play at weddings, too. Pricing policy including the amount you are supposed to pay as a deposit. If you think you have found the right DJ for your wedding, make sure you record all the terms and conditions of your collaboration in a contract – if the DJ refuses to sign an agreement for the services to be provided, consider it a red flag and look for a different artist. Before hiring wedding DJ’s or live bands, there are some important things to know that will help you make a good choice for a memorable day. Many people that you know (friends, co-workers etc.) surely have been in the situation to hire a DJ for a wedding or other events. Talk to people about what you are looking for, get recommendations, make a list with several DJ’s and start checking on them. You need to hire a person who is committed full-time to this job, an experienced and versatile performer, able to entertain a number of people, for several hours, and who possess the right equipment. There are many music fans out there who practice being DJ’s occasionally, just for fun; some of them may be good, but as a general rule you should avoid spending time on them and look for a real specialist. One of the most important things to know is the DJ’s flexibility and willingness to listen. The last thing you want is paying for someone who will play his/ her favorite music, ignoring your preferences and ultimately your vision for your special day. This would be unacceptable because it may destroy the atmosphere rather than create it. Make lists with the kind of music and the songs that you want to be played as well as lists with what you do not want to hear and be very clear about them when you discuss with the DJ. And do not forget about the way you expect your DJ to handle song requests from the guests and how much should he insist on entertaining the guests. Before hiring someone, ask the DJ’s on your list to provide samples of their work (recordings from other events where they entertained the audience). There is no better way to test a DJ’s abilities than seeing him/ her perform. What to expect from a professional DJ? There are many advantages of hiring wedding DJs or Colorado wedding live bands. They can be great assets to your reception considering that they can play various music non-stop, for as long as they are required to. Unlike live bands that typically sing their own versions of the songs, a DJ plays the original songs. The volume control is also better with a DJ than with a live band, which is great for setting the proper pace of different moments of the reception. You can have whatever you prefer: a showman who interacts with the audience during the entire reception or a discreet DJ, who plays the music outside the spotlight. Professional DJs should be able to blend with any wedding style, from classic and elegant to differently themed receptions. For most, music is just a hobby. Everyone likes to hear their favorite song playing the radio or on TV, and some even like to collect albums from their favorite bands or artists. However, for some music is not just a hobby: it’s a passion. And because it is such a passion, they will want to buy a new instrument so that they can play it or, if they are beginners, learn how to make music. But this passion does have a cost. Besides the musical skills and patience necessary to learn playing an instrument, there is also the financial aspect to keep in mind. Most quality musical instruments are quite pricey, be them drum sets or guitars. The prices range from hundreds of dollars to thousands. True, it depends on what instrument we’re talking about, but make no mistake: most of the time, the entry fee is quite steep. However, this doesn’t have to be the case in some situations! 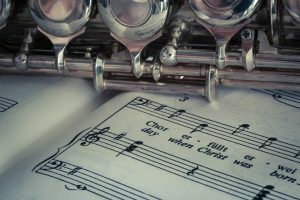 For example, if you want to play an instrument in a professional setting, such as a concert, then yes, you will need top of the line equipment. 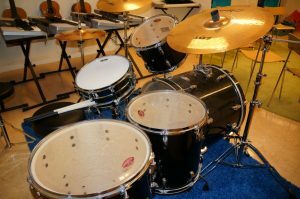 However, if you are just planning to play it in your free time for pleasure, or you’re just learning your first rhythms as a beginner drummer, for instance, then you might get a good deal by looking for some used drum sets online. One of your best options is to try an online bidding site. What Can You Expect from Online Bidding Sites? From used drum sets to guitars, there is nothing you can’t buy from these online vendors. There are many benefits associated with online stores. For one thing, you can find almost any instrument you might want, at any time. This is much more convenient than walking or driving to a local music store, which might not even carry the instrument you are looking for. Besides, some towns don’t even have local music stores, so you have to travel a long way to find a good one. And even when you do find one, they might only sell brand new instruments, which cost a small fortune. Fortunately, with online bidding stores , you can get all the benefits without many of the hassles. Finding instruments is easy, there are a variety to choose from, and you can pay using a number of methods. However, there are a few downsides that you need to take into account. One of them is the risk of getting scammed. Getting swindled while buying online is a possibility, although, to be fair, such things can happen when you’re buying from physical stores as well. If you are a first time buyer, a good idea would be to try out the most popular bidding sites on the internet, as these are also the safest. Many of them allow you to return the product in a given amount of days if you find that it doesn’t meet your standards of quality. If you have bought other products from bidding sites before and have been satisfied by the items you purchased, then it is safe to say that buying from one of these will continue to be a safe bet. Buying an instrument is something that many people want to do. Some have already bought one, while others intend to do so in the near future. The reasons for owning an instrument are multiple. Some absolutely love music and would like to have a musical instrument of some kind to play in their spare time, as a hobby. For others, it is more serious: they want a musical instrument so they can practice and hone their skills, in the hopes that they would some day play that instrument professionally or join a band of musicians and earn a living through the wonderful art of music. Some just want an instrument for the novelty value, or a decoration that will look cool in their house. But there is a catch, however: most musical instruments don’t come cheap. This is the case when buying new ones, at least. Obviously, if you join a band or want to play an instrument professionally, it is best that you buy it new, and maybe even fork some extra cash in order to buy a recognized brand, so as to ensure that you get the best quality product there is. However, if you just want something to practice or play music as a hobby, then you are better off buying one of the used musical instruments available over the internet. There are many outlets available online that will have used musical instruments for sale at discount prices. From small instruments like flutes, to sizable orchestra instruments and even large ones such as pianos, you can find anything on the internet, and most of the time its just a few clicks away from being yours. Still, before you get carried away with excitement, there is indeed a danger to this, as is the case with most used products. It is not a rare sight to buy a used instrument and find out you got your hands on quite a bargain. But it is also true that you can be scammed over the internet. When buying used instruments, only buy from online outlets that are trustworthy, such as popular bidding sites. These usually care a “money back” guarantee that can vary between three to seven days. Be sure that the seller also posts pictures of the instrument, so that you can tell in what condition the product is. If the seller is local, try to meet with him in person and try the instrument yourself before buying. If you don’t know much about instruments, but you have a friend who does, bring him or her along. Another useful tip is not to trust those people that sell you instruments that have prices well below those of a new one. While it is true that we are talking about a used product, you should still ask yourself some serious questions when you come upon an item that is 10 times cheaper than its market value, as something might be wrong with it. Do you love games? How about TV Shows? Movies? Art? 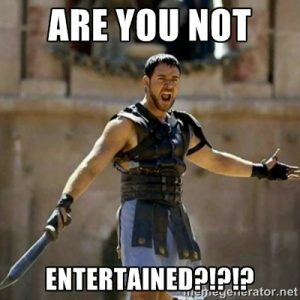 Entertainment? If you answered yes to any of these questions, you will love what we’ve got in store for you! Coming soon to WVHGC, get ready to be entertained!